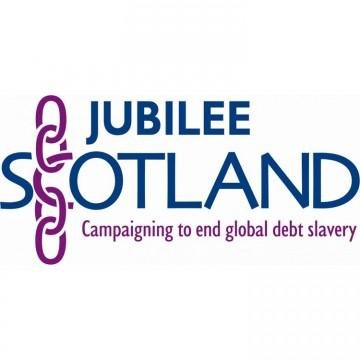 Jubilee Scotland campaigns for cancellation of unjust and unpayable poor country debts and is part of the global Jubilee movement for economic and social justice. The Campaign Director is responsible for the smooth running of the whole organisation and, as such, needs to have an excellent set of skills in all areas. The candidate will be passionate about issues of economic justice and will have experience of campaign development, lobbying, fundraising, communications and management. The responsibility of running our small charity based in Edinburgh is a wonderful opportunity for someone to take on a new challenge and use all of their talents. As an organisation, we’re about to start lots of new and exciting projects and so it’s the perfect time for someone to get involved and insert their ideas and influence. It is essential that you have a background in growing awareness, impact and income through excellent stakeholder, service and staff management. The post holder needs to be able to tailor Jubilee Scotland’s work to our aims and values and to fit in with the work of our allies across the world. You will manage the day-to-day operations of Jubilee Scotland and have a strong background in managing budgets and income targets. You will be responsible for overseeing the delivery of the Scotland Plan and lead the delivery of the Fundraising targets, ensuring key bids are submitted on time and to a high standard. Managing key fundraising partnerships and ensuring live opportunities are maximised are also key. This position holds an ambassadorial role for the organisation, with you representing Jubilee Scotland at events etc. to raise awareness and profile.